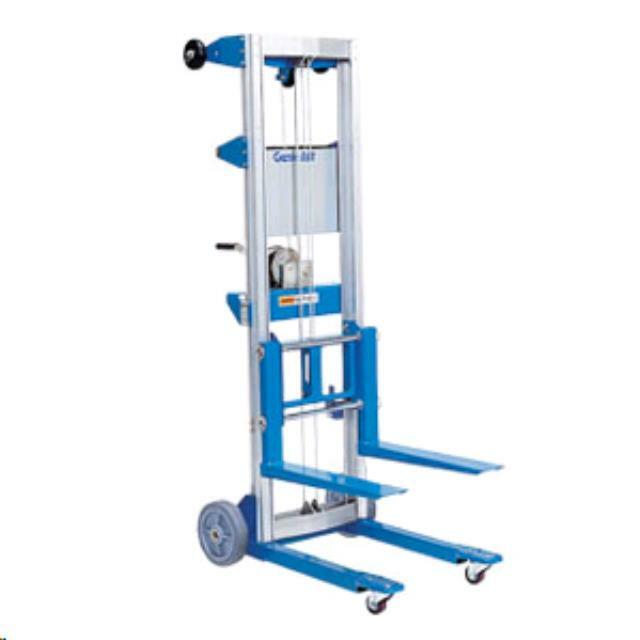 Genie Material Lifts, also known as duct lifts, are ideal for lifting and placing small pallets and bulky objects. Perfect for installing and maintaining HVAC equipment and appliances, shipping/receiving, storing/retrieving records, and stacking materials on shelves. Using a Genie Material Lift decreases the need for workers to manually lift materials, reducing the risk of workplace injuries. * Please call us for any questions on our material hoist 3.0mtr hire & rentals, serving Perth & Western Australia.